Sun Myung Moon invested hundreds of millions of dollars in South America – what was the result? The mystery of the emigration of 4,200 Unification Church women to Uruguay where one of them committed suicide. She left three children behind. The women carried $80million in cash. This page presents extracts from various articles and books detailing Sun Myung Moon’s activities in South America. ▲ The annex of the Victoria Plaza Hotel in Montevideo, owned by Sun Myung Moon’s organization. Opened in 1996, it was built at a cost of about $80 million. An arm of the Rev. Sun Myung Moon’s Unification Church, a group called “Causa,” or “cause” in Spanish, is pumping millions of dollars into an anti-communist organizing effort throughout the United States and in much of Central and South America. 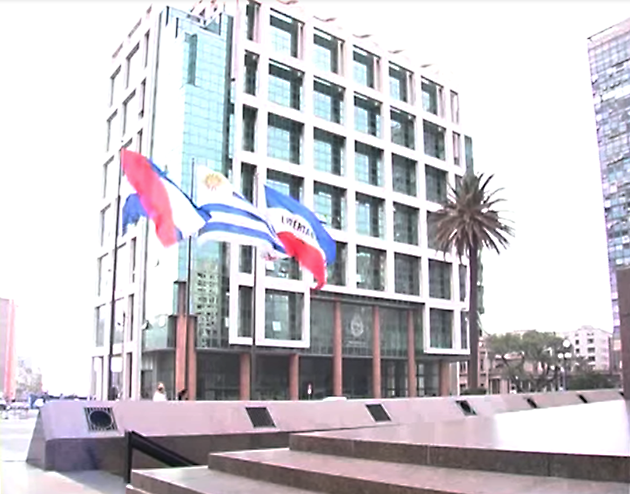 Offering free seminars, international trips and conferences around the region to decision makers, journalists and local leaders, Causa International and its subsidiary, Causa USA, have also invested in newspapers and printing companies and in a Uruguayan bank, broadcasting station and other businesses. The group’s president is retired South Korean Col. Bo Hi Pak, chief aide to Moon, and its executive director is Warren S. Richardson, formerly chief counsel to the Liberty Lobby. President Reagan nominated Richardson to be an assistant secretary in the Department of Health and Human Services in 1981, but Richardson withdrew amid charges that the Liberty Lobby is racist and anti-Semitic. Causa seeks to promote a philosophy called “God-ism,” which Causa officials say is an alternative set of ideas for people likely to be tempted by communism. Although usually – but not always – openly financed and led by followers of Moon, Causa claims to be completely ecumenical and to have plans to put non-members of the Unification Church in leadership jobs. Causa started as the Confederation of Associations for the Unity of the Societies of the Americas (CAUSA), but the original emphasis on the Americas soon proved too narrow. There was so much interest in Europe and other parts of the world that the original name was dropped and just the acronym retained, Causa USA director Joe A. Tully said. Founded in New York in 1980, Causa has had a rocky time in Brazil, where only police intervention prevented mobs from destroying Unification churches in nine cities; and in Honduras and El Salvador, where Roman Catholic Church leaders denounced Causa as anti-Christian for its links to Moon. But in Uruguay, Paraguay and Guatemala and in 18 other nations, Causa literature says, Causa operations are thriving despite opposition from the Catholic Church, to which the vast majority of Latin Americans belong. Causa apparently has had its greatest success in Uruguay. In March, 1981, Pak met in Montevideo, the capital, with top government officials, including then-President Aparicio Mendez, the vice president and the interior minister. Causa then founded a newspaper, Noticias del Uruguay, and won the right in a secret auction to build a casino and a luxury hotel, according to later newspaper accounts. By the end of 1981, Causa was authorized to set up an FM and medium-wave radio station in Canelones for broadcast to Montevideo and launched a second newspaper, Ultimas Noticias, in September. It also bought the largest publishing house in Uruguay, Editorial Polo; a restaurant and a meat-packing plant; and it now owns the country’s biggest luxury hotel, the Victoria Plaza, according to The Latin American Newsletter of Jan. 29, 1982. In 1982, Causa won a controlling interest of the Banco de Credito, Uruguay’s third-largest national bank, and press reports said Causa had put $50 million into the bank purchase effort. On April 8, 1983 Honduras’ Roman Catholic Conference of Bishops denounced Causa and the Unification Church, issuing a pastoral letter prohibiting priests and lay workers and “anyone who wishes to remain Catholic” from taking part or encouraging any involvement in Causa or any other Unification Church operation. “It is very probable that until now, Causa has not here manifested its moral and religious danger. But given its tactics, when this happens it could be too late for many,” the bishops’ letter said. It is difficult to gauge the size of the group’s investments. Uruguay is known for the secrecy of its banking system, which has been compared to Switzerland’s. The ownerships of many companies are hidden in anonymous societies, similar to blind trusts. “There’s no question that he has a lot of money and has substantial investments in Korea that made him a wealthy individual in his own right,” said Bromley, co-author of a book on Moon’s church in America. Members of the Unification Church first came to Uruguay in the 1970s as part of a worldwide proselytizing and recruitment program. That has been largely a failure; church membership in Uruguay hovers around 500, and attendance at worship services in Montevideo rarely tops 100, the church source said. But in mid-1981, money started arriving. From the “Reputations: Sun Myung Moon, Emperor of the Universe” documentary made by the BBC in 2000.
by R.T. Naylor, professor, economics, McGill University and the author of many books, including Economic Warfare: Sanctions, Embargo Busting, and Their Human Cost, and Bankers, Bagmen, and Bandits: Business and Politics in the Age of Greed. “In the US the Moon cult prospered. Indeed, the vigor with which the cult expanded in the US may not be completely unrelated to problems that befell it in South Korea. In 1977, one year after the notorious “Koreagate” scandal in the US, the South Korean regime decided to disassociate itself partially from the sect, which had become somewhat of an embarrassment. The South Korean authorities leveled a number of charges of fiscal fraud against the management of Moonie-controlled enterprises. The sect responded by creating the Unification Church International… The target was the Diplomat National Bank of Washington. The sect and the Korean CIA (which used the bank as a conduit for covert funding) eventually attracted 53% of the stock – and the attention of American bank regulators over attempts to hide ownership and over apparent infractions of lending regulations. Despite such successes abroad and President Reagan’s endorsement at home, the Moon organization had its problems. Like the Vatican’s a decade and a half earlier, its tax-free status was being threatened. In 1981 the New York State Supreme Court ruled it more a business than a church, hardly a startling finding given that annual gross revenues from Moonie global businesses were then apparently topping $500 million. The township in which much of Moonie property was located sued for back taxes, and other lawsuits followed. In 1982, Moon was personally convicted of tax fraud, perjury, conspiracy involving false documents, and obstruction of justice. While Moon’s lawyers appealed the verdict and kept the case before the courts for another two years, danger signals prompted the “church” to move its financial headquarters to more hospitable climes. Their choice proved to be that of the Latin America headquarters of Lucio Gelli’s P-2, and one of the principle havens through which Opus Dei’s protege Ruiz Mateo had moved money spirited out of Spain. Uruguay is often referred to as the Switzerland of the Americas… Granted, Uruguay’s political violence in the 1960’s and 1970’s, its long and only recently altered status as a military dictatorship, and its prostrate economy are remarkably un-Swiss. But it does have a freewheeling banking system that operated as a laundromat for drug money and is still the most important South American depository for flight capital and tax evaders’ funds. Hot money has long sought sanctuary in Uruguay’s capital of Montevideo – or Moon-tevideo, as it is now sometimes called. Uruguay was a major American stop on the escape route Licio Gelli created for Fascist family fortunes escaping Italy after the war, and many a European family gold hoard wound up in exile there…Uruguay offers bank secrecy laws sufficiently appealing that, in 1971, the US narcotics bureau found Uruguay to be a pivot of financial operations associated with the French Connection heroin route. But Uruguay blossomed as a peekaboo financial center after a military coup in 1973. The coup followed a sharp deterioration of economic circumstances in the 1960’s and a civil war between the army and the Tupamaros urban guerrilla organization. The polarization provided an opportunity for major French heroin traffickers in Uruguay, who bought the protection of Uruguayan military intelligence by infiltrating the Tupamaros, promising them arms while informing the Uruguayan military about their activities… Uruguay became a major American center for tourism and gambling and a refuge for fiscal flight capital. After the crisis of 1981, virtually all Uruguayan banks were forced to borrow from the central bank and to unload bad debts on the public sector. The central bank, in the guise of bolstering the capital of weak banks, intermediated the sale of local institutions to foreign financiers, among them the indomitable Reverend Sun Myung Moon. The local Moonie chief, Julian Safi, quietly bought up small blocks of stock in the Banco de Credito, the third largest in the country, using funds provided through Kami Ltd, a Moonie-controlled Cayman Islands bank that Bo Hi Pak had established for the sacred purpose of keeping transfers from the prying eyes of the fiscal authorities. The context and timing were ideal. On the one hand, the financial crisis in Uruguay made the government keen to attract foreign capital, particularly to a banking system that generated so much foreign exchange. If that foreign capital came with an ideological bent with which the military government felt highly sympathetic, so much the better. President and former commander in chief Gregorio Alvarez (a member of Gelli’s P-2) defended the Moonie encroachment as a matter of religious freedom. “Also, we share their ideas as people involved in the struggle against communism.” As the Moonies were under siege elsewhere, particularly by the American tax authorities, and as they had targeted the Americas, particularly the southern parts under military dictatorship, for intensive proselytizing, Uruguay was the ideal financial headquarters. Eschewing evangelism to avoid conflict with the local church hierarchy, they concentrated their Uruguayan activities on making money and influencing the right people. By 1983 it was estimated that Moonie investments in Uruguay totaled about $100 million. They had acquired the third-largest bank, the largest hotel, and local distribution facilities for Moonie-produced goods from all over the world; French jewelry, canned tuna, porcelain vases from Taiwan, and Korean ginseng and weapons. They also owned two local printing companies and prime real estate. In 1983 they began planning a new forty-one-story hotel and conference center. The military government contributed a declaration that the hotel complex was of “national interest” and therefore exempt from import duties. The military also assisted them with tax breaks and public advertising revenues in their takeover and operation of one of the three local newspapers. ▲ Banco de Credito in Montevideo, owned by Sun Myung Moon’s organization. “Rev. Sun Myung Moon first put down roots in Uruguay during the 12-year reign of right-wing military dictators who seized power in 1973. During the 1970s, the anti-communist South Korean religious figure also cultivated close relations with military dictators in Argentina, Paraguay and Chile. Moon reportedly ingratiated himself to the juntas by assisting the military regimes arrange arms purchases and by funnelling money to allied right-wing organizations. Moon has invested heavily in media and politics in both North and South America. In the early 1980s, Moon’s organization was flush with cash. In 1982, Moon launched The Washington Times, a right-wing daily which has cost Moon an estimated $100 million a year in losses. But the newspaper gave Moon’s backers access to the highest levels of the Reagan-Bush administrations and the ability to influence public debate. Moon was a major conservative funder in the United States. 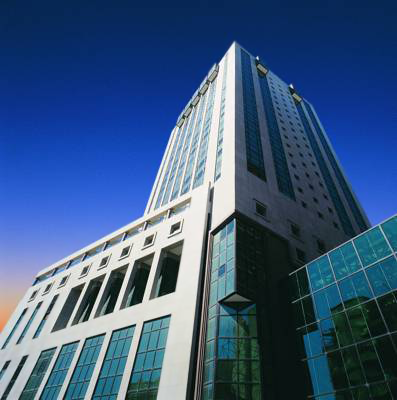 In 1983, back in Uruguay, Moon expanded his South American holdings by purchasing Banco de Credito, one of Montevideo’s leading banks. The price tag was $52 million. Uruguay’s military authorities awarded Moon a quick $8 million profit by buying back $60 million in uncollectible loans from the bank. When democracy was restored in Uruguay in 1985, Moon’s operations survived by keeping close ties to still-influential military officers and to conservative civilian politicians. They helped Moon fend off opposition from civilian president Julio Maria Sanguinetti and other critics. But Moon’s deep roots in Uruguayan politics and business proved strong enough to withstand his critics. His bank brushed aside nettlesome questions about money-laundering and other financial irregularities. Moon’s allies – and Uruguay’s secrecy laws – prevented even the powerful Opus Dei from forcing the bank’s financial records into public view. Through the 1980s, Moon continued to expand his Uruguayan holdings. He bought the elegant-but-faded Hotel Victoria, the Últimas Noticias newspaper, a travel agency and vast tracts of real estate. His big investments in the hotel and newspaper, however, never generated significant profits. The newspaper never achieved strong circulation or advertising revenues. Despite an upgrading to five-star status, the Hotel Victoria never flourished either. Finally, in 1993, Uruguayan Central Bank president Ramon Diaz pushed the long-whispered allegations against Moon’s bank into the parliamentary record. Diaz accused Banco de Credito of violating financial rules, operating at a constant loss, practicing dubious credit policies with insolvent customers and holding inadequate cash reserves. Diaz demanded that the bank add $30 million in capital within 48 hours or face government intervention. Within hours, panicked customers pulled $10 million in deposits out of the bank. Diaz’s goal of forcing Moon to sell the bank seemed within reach. One senator claimed that Diaz hoped an Argentine investment group would step in and take over the bank. Moon proved, however, that his seemingly bottomless well of cash could fill the bank’s vaults in a crisis. Before the 48-hour deadline, Moon transferred $30 million into the ailing bank and retained control. Since then, Moon’s influence has continued to grow in Uruguay, although Banco de Credito continues to suffer chronic financial troubles. Uruguay’s bank secrecy laws and Moon’s political clout have spared his operations from significant legal action. But the money laundry has drawn periodic attention from government and other investigators in recent years. In 1996, for instance, the Uruguayan bank employees union blew the whistle on one scheme in which some 4,200 female Japanese followers of Moon allegedly walked into the Moon-controlled Banco de Credito in Montevideo and deposited as much as $25,000 each. The money from the women went into the account of an anonymous association called Cami II, which was controlled by Moon’s Unification Church. In one day, Cami II received $19 million and, by the time the parade of women ended [after a week], the total had swelled to about $80 million. It was not clear, however, where the money originated and whether it came from illicit sources. Nor was it known how many other times Moon’s organization has used this tactic – sometimes known as “smurfing” – to transfer untraceable cash into Uruguay. Authorities did not push the money-laundering investigation, apparently out of deference to Moon’s political influence and fear of disrupting Uruguay’s banking industry. Despite delivery of mysterious cash from Moon’s followers the bank again has slipped into a deficit estimated at $120 million. The deficit – or “red numbers” in the Spanish jargon – has been blamed largely on credits given to the Rio de la Plata hotel company ($65 million) and to Creditos S.A., a financial institution that was the bank’s first client. … But Moon’s money continued to flow into new projects anyway. Embittered by his church’s decline in the United States – where membership reportedly has sunk to 3,000 members – Moon shifted his personal base of operations to a luxurious estate in Uruguay. In the last three years, Moon also bought the ex-Frigorifico Nacional, a cool-storage house; the Astilleros Tsakos dockyard; and other privatized port services. Moon has promised to build containers as well as fishing and chemical ships – and to construct a paper plant. Nelson Cesin, a reporter for the newsweekly Brecha, has noted that the new acquisitions would allow Moon to move money freely around the world. Moon himself has announced an ambitious plan for a worldwide transportation and propaganda system. To his followers, he has boasted about plans for building a network of small airstrips throughout South America and other parts of the world, supposedly for tourism. In one speech on Jan. 2, 1996, he even announced a scheme for deploying submarines to evade coastal patrols. In recent years, Moon also has continued his clandestine cash transfers into the United States. According to court records from a divorce case involving one of Moon’s sons, Hyo Jin, $1 million in cash was carried into the United States in early 1994 by Moon’s followers and delivered to Hyo Jin who ran a Moon-controlled recording studio in New York City. Clearly, Moon’s big-dollar spending on conservative politicians in the United States and South America has helped shield the South Korean theocrat from serious scrutiny. In recent years, Moon’s American beneficiaries have included former President George Bush and Religious Right leader, Jerry Falwell. But paradoxically, Moon’s banking deficits in Uruguay have given him additional leverage. Uruguayan authorities fear that a major financial bankruptcy could damage the country’s reputation. So, in exchange for “laissez-faire” treatment for his bank, Moon pumps in the necessary cash to keep Banco de Credito afloat. Still, the ultimate source of Moon’s influence remains his subterranean flow of money, a virtual underground river of cash spewing from a hidden spring whose origin remains the biggest mystery of Moon’s organization. It is that spring which keeps Moon’s Uruguayan “oasis” green and his critics in both North and South America at bay. The strategy of “cratering” a bank is often associated with organized crime syndicates which quietly take control of financial institutions and siphon off their resources before leaving them as empty shells. Sen. Luis Eduardo Mallo charged that overall Moon’s companies had taken more than $125 million and had turned the bank into a “cashier for Moon’s enterprises.” One Moon company, the Corporacion Rioplatense de Hoteles S.A., was in debt $96 million. “Yoshikazu Soejima [ex-member of the FFWPU who was a top leader in Japan, and nearly died in a stabbing attack] said these transactions were usually made through international bank transfers, but large amounts of cash were carried into the United States by church members because “sometimes Moon wants money right away. Getting permission to send it by bank transfer takes time. Was money sent to Uruguay from the News World / The New York City Tribune? 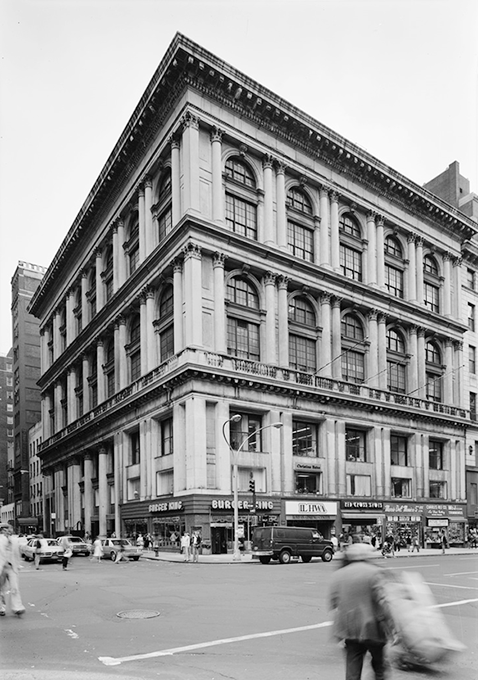 ▲ The Tiffany Building at 401 Fifth Avenue was purchased by the Unification Church / FFWPU for $2.4million. It housed The New York Tribune newspaper. An Il Hwa restaurant, another UC business, can be seen in this photo. The first issue of News World was published in New York City on December 31, 1976. On this occasion, Sun Myung Moon said, “We must create a newspaper company that can spread the word about universal justice in God’s name.” This newspaper reported, before the end of the presidential election in 1979, that the Republican presidential candidate, Ronald Reagan, had won. It changed its name to The New York City Tribune on April 4, 1983. It has been alleged that the leadership at The New York Tribune misused money. This was uncovered by a senior member. Apparently $1million was being given to the paper every month, but only about a quarter of that was being used for the Tribune payroll, etc. It was said that money was taken down to Uruguay. Apparently there was a meeting of the Tribune senior management at which the financial situation was explained – and that because of a lack of cash, the paper would have to close. Reportedly there was a lot of shouting, but the paper closed on January 3, 1991. These details have not been confirmed by the former staff of the Tribune, or by News World Communications, Inc. However, the arrival of undocumented cash in Uruguay has been confirmed by numerous sources (see above). A “new” New York Tribune debuted in 1976 in New York City. It was published by News World Communications, Inc., owned by the Unification Church. It was published in the former Tiffany and Company Building until it printed its last edition on January 3, 1991. Its sister paper, The Washington Times, is circulated primarily in the nation’s capital. The Tribune carried an expansive “Commentary” section of opinions and editorials. Former New York City Mayor Ed Koch was one of the columnists. In December 2005, while on tour Moon returned to visit Uruguay and on that occasion he met with President Tabaré Vázquez, with whom he took photographs. During that tour, the then Argentine president, Néstor Kirchner, refused to receive Moon. 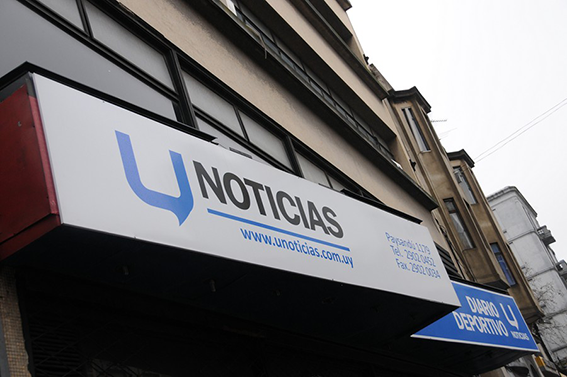 Últimas Noticias newspaper closed in 2012. In September workers were negotiating for unpaid wages. 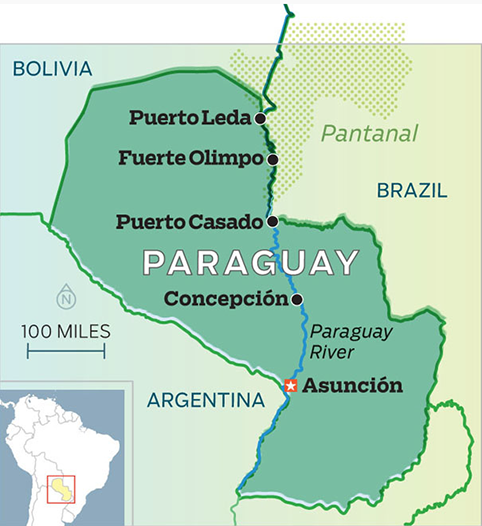 PARAGUAY: The Reverend Moon has carved out a section of Paraguay that is twice the size of Luxembourg. Séamus Mirodan went to see it. Since 1999, Rev Moon has built his personal empire which begins on the marshy banks of the River Paraguay and stretches beyond the hazy, level horizon through 600,000 hectares of arid land – equivalent to more than two Luxembourgs – punctuated by solitary clusters of withered trees and sad bushes which struggle desperately for air. The scorching sun beats relentlessly on one of Latin America’s most desolate zones. It is here in the northern province of Chaco, directly above the Guaraní aquifer, the largest resource of fresh drinking water in the world, where Moon’s associates claim he wishes to build an ecological paradise. Nevertheless, national Senator Domingo Laino sees a different pattern in Moon’s acquisitions. “There are two principal branches to Moon’s interest in Paraguay,” he said, “control of the largest fresh drinking water source in the world and control of the narcotics business”, which is so prevalent in this area. “President Lula told me that Brazil took serious measures to curb Moon a few years back as it became evident that he was buying up the border between our two countries,” said the senator. Paraguay is the major drugs port through which virtually all the cocaine produced by Bolivia and Peru passes. In the world’s second most corrupt country, “the ease of buying influence is second to none”, said Montiel. “Corruption reaches dangerous levels and he who wants transparency in Paraguay is a dead man. Indeed the famous Iran contra affair was operated from Ciudad del Este” on the south-east Paraguayan border with Argentina and Brazil. Not content with expanses of potentially invaluable land, Rev Moon has also taken over entire towns, including factories and homes. In Puerto Casado, tensions between Moon disciples and locals led to violent confrontation over the last year following the closure of the only source of work, a lumber factory, and the dismissal of 19 workers who tried to form a union in order to demand an eight-hour day and the national minimum wage of £80 sterling per month. This is not the first time such accusations have been levelled against Rev Moon and his associates in South America. Last June, the Chilean government refused to recognise the sect as a religious association and accused them of being “a danger to society”. An aid to the Chilean Interior Minister described Rev Moon’s ideology, somewhere to the right of the Taliban’s Mullah Omar, as “profoundly anti-communist, xenophobic and with a marked Nazi inspiration”. Venezuela and Honduras have expelled the cult. Rev Moon travelled there with Fermin De Alarcon, a Spanish financier, in the latter’s private jet. Mr De Alarcon tried unsuccessfully to sell the religious leader his Banco General and is currently a fugitive from the Paraguayan justice system after withdrawing all the funds in that and other banks before disappearing. The same year saw the inauguration of Rev Moon’s local media empire: Tiempos del Mundo, a newspaper distributed in the majority of the major capitals across South America. At the opening of the offices in Buenos Aires, George Bush snr was guest of honour and referred to Rev Moon, one of his major benefactors at the time of his first electoral campaign, as “a man of honour”. Indeed the reverend forged strong links with the Republican Party, not least by opening The Washington Times in 1982, estimated to lose some $50 million a year and once described by Bush as “so valuable in Washington, where we read it every day”. In 1999, the Brazilian federal police launched an investigation into the involvement of Rev Moon’s associates in money-laundering and tax evasion, amidst accusations of drug-running. By October of that year, he had down-sized his operation in Brazil and bought land in Paraguay. According to local landowners, everything was paid for in cash, often for more than it was actually worth. Construction began immediately on a new model city, Puerto Leda. Reverend Sano, the secretary-general of Rev Moon’s Foundation for Sustainable Development, which has its base in Leda, claimed only $4 million was invested to build everything from a landing-strip to a power plant. The town is also equipped with a 25-metre swimming pool and its own police and navy stations, even though Rev Sano claims it is only home to 10 Japanese sect members. Rev Moon’s first involvement in the continent came during the late 1970s when his organisation donated the first $100,000 to Oliver North’s Nicaraguan Freedom Fund. The religious leader was implicated in many of the so-called Contra scandals during the Reagan-Bush administration. Rev Moon’s ideology allowed him to cuddle up to many South American dictators during this era. Indeed, according to Bolivian intelligence reports at the time, he sought to recruit an “armed church” of 7,000 Bolivians receiving paramilitary training to support the infamous cocaine coup which brought Gen Carlos Meza to power with Nazi war criminal Klaus Barbie running his security operations.